If there is something all health experts can agree upon – it is that animal fat is NOT healthy. In fact the best thing you can do for your health is to become a vegetarian. 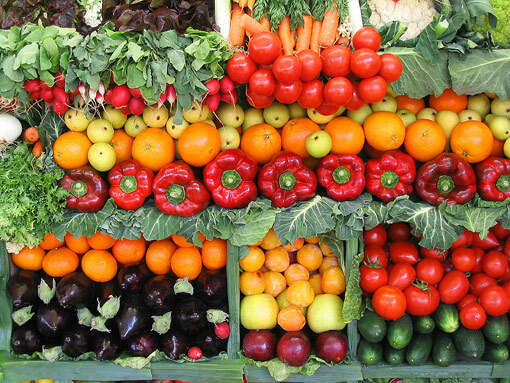 A healthy vegetarian diet also protects you against numerous diseases, including: heart disease, cancer, and strokes. The American Dietetic Association have declared that vegetarians have "lower rates of death from ischemic heart disease; lower blood cholesterol levels, lower blood pressure, and lower rates of hypertension, type 2 diabetes, and prostate and colon cancer" and that vegetarians are less likely than meat-eaters to be overweight. This of course doesn’t mean that you are necessarily skinny just because you are a vegetarian – but you are definitely healthier. Research has shown that vegetarians are 50 percent less likely to develop heart disease, and they have 40 percent of the cancer rate of meat-eaters. Meat-eaters are furthermore nine times more likely to be overweight than vegans are. A good vegetarian diet is perfectly sufficient for you to get all the nutrients you need, and without all the saturated fat, cholesterol, and contaminants found in animal products. If not alright with you, please advise, ok?